HOUSTON (CNS) — Laredo’s Bishop James A. Tamayo is calling church leaders and lay faithful to “extend the compassion of Christ” to those who come to Catholic churches in need. Bishop Tamayo leads the youngest diocese in Texas and the U.S. 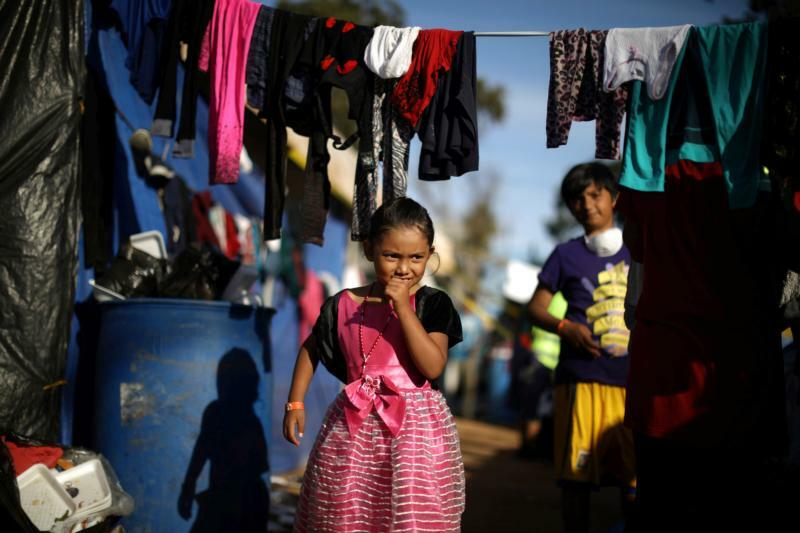 The south Texas city of Laredo borders the Mexican city of Nuevo Laredo, and local Catholic leaders are “preparing to help in any way … should the caravan come to our doorsteps,” he said. Bishop Tamayo said his diocesan and social services staff have met with local and national border officials to ensure that the position of the Catholic Church on immigration is known. Respect is key to the process of dialogue with local and national officials, Bishop Tamayo told the Texas Catholic Herald, newspaper of the Archdiocese of Galveston-Houston. Still, with this “there is a spirit of collaboration,” he said. In Brownsville, Bishop Daniel E. Flores has directly dealt with the federal government. At a recent lecture in Houston, Bishop Flores described the U.S. government’s attempt to survey land owned by the Diocese of Brownsville with goals to eventually build a wall there. While he denied the request and the government has since filed suit, Bishop Flores said he had several “amicable discussions” with federal officials. A border wall is not an intrinsic evil, but it is a prudential social disaster, according to Bishop Flores. Bishop Joe S. Vasquez of Austin, who is the chair of the U.S. bishops’ migration committee, recently told another Houston audience that caring for immigrants is “rooted in the Gospel” and part of the original religious identity of Catholics. He also strongly faulted the polarized political climate for blurring Church teaching on immigration and dividing God’s people. “As Catholics, we must respect, love and protect the immigrant,” Bishop Vasquez said, noting that he was not speaking politically but as a pastor concerned for persons and the well-being of souls. He described immigration as “one of the most critical challenges the church faces in our hemisphere,” with millions of vulnerable people on the move, forced from their homelands by violence and extreme poverty. Millions more live amid crippling fear in the U.S. with serious consequences that Bishop Vasquez said he has witnessed in his own Austin Diocese. Bishop Vasquez said immigration issues the church is currently working on include advocating for immigration reform; a permanent solution for the status of “Dreamers,” as beneficiaries of the Deferred Action for Childhood Arrivals program are known, and of other individuals brought into the U.S. illegally as children; and an end to family separation at the border.